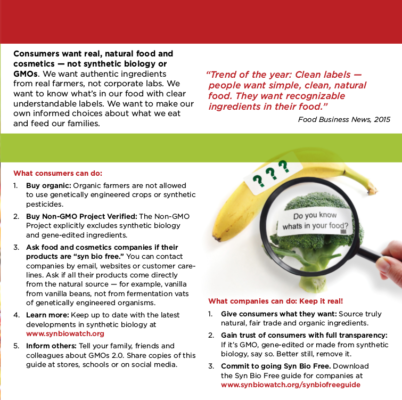 Are GMOs 2.0 in your food and cosmetics? 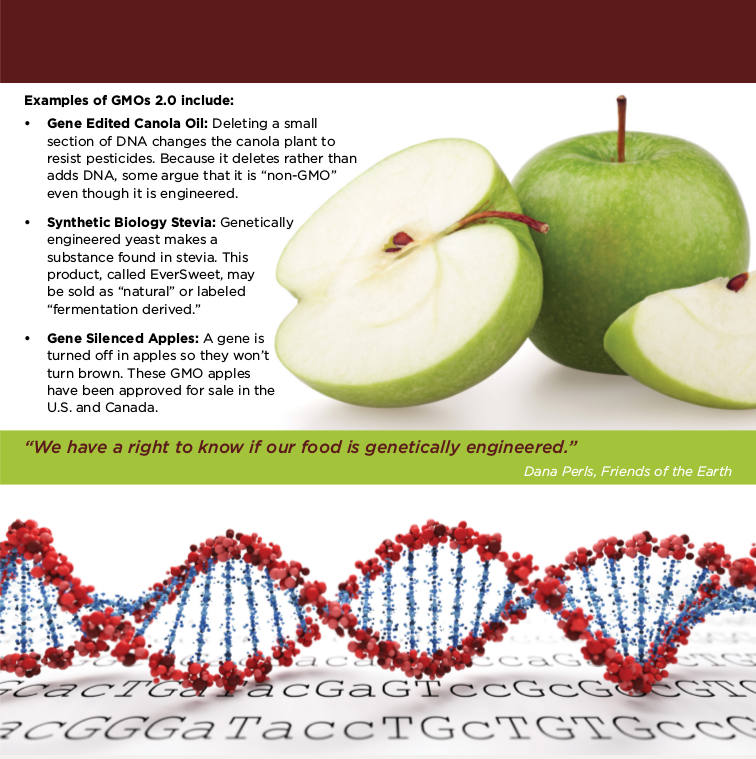 Gene-silenced apples that never look old, synthetic stevia created with genetically engineered algae — these are just some of the new generation of GMOs companies are sneaking into food and consumer products. 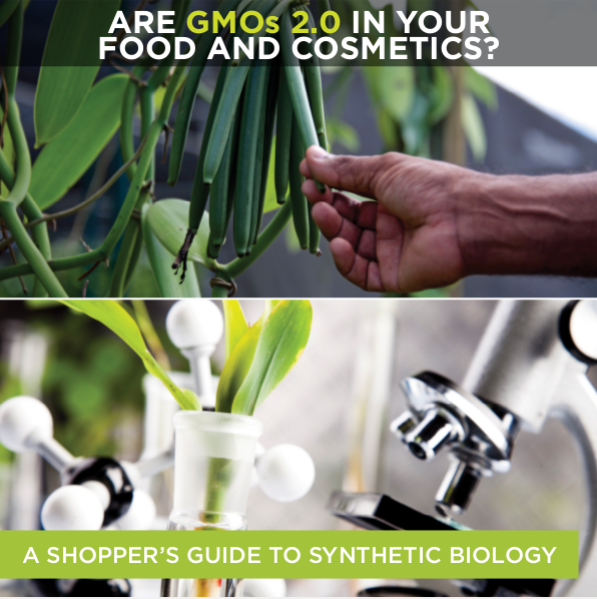 This new guide helps consumers avoid the new wave of GMOs and find truly natural and sustainable options. 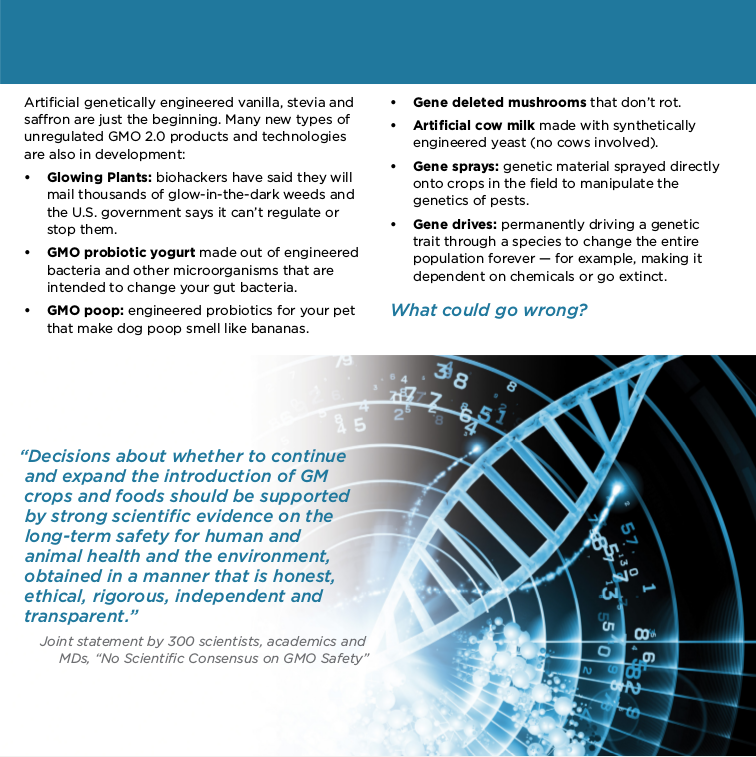 The 12-page guide is available for free below, and printed copies can be ordered in bulk for the cost of shipping. 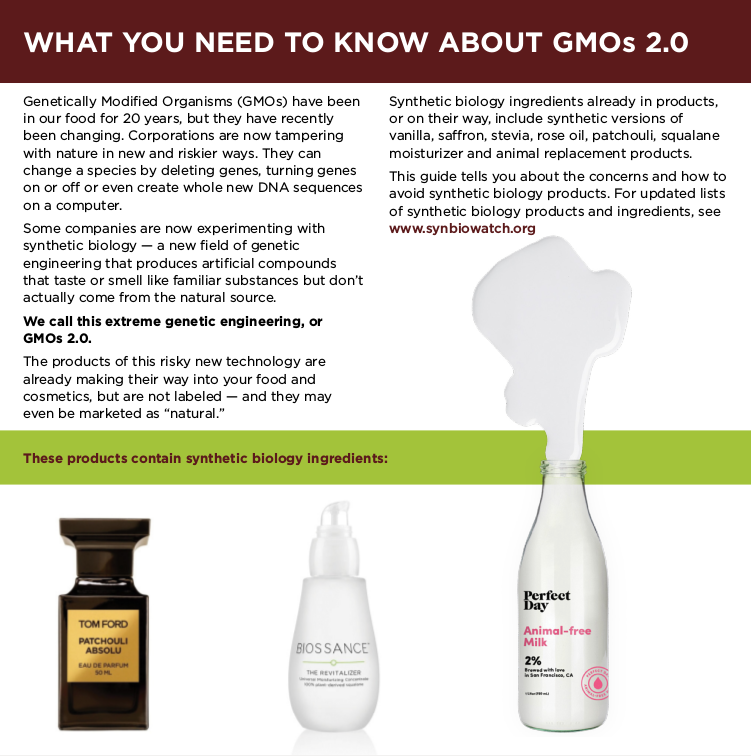 Which GMO 2.0 products are in stores now, or on their way. Examples include synthetic versions of vanilla, stevia and patchouli fragrance. 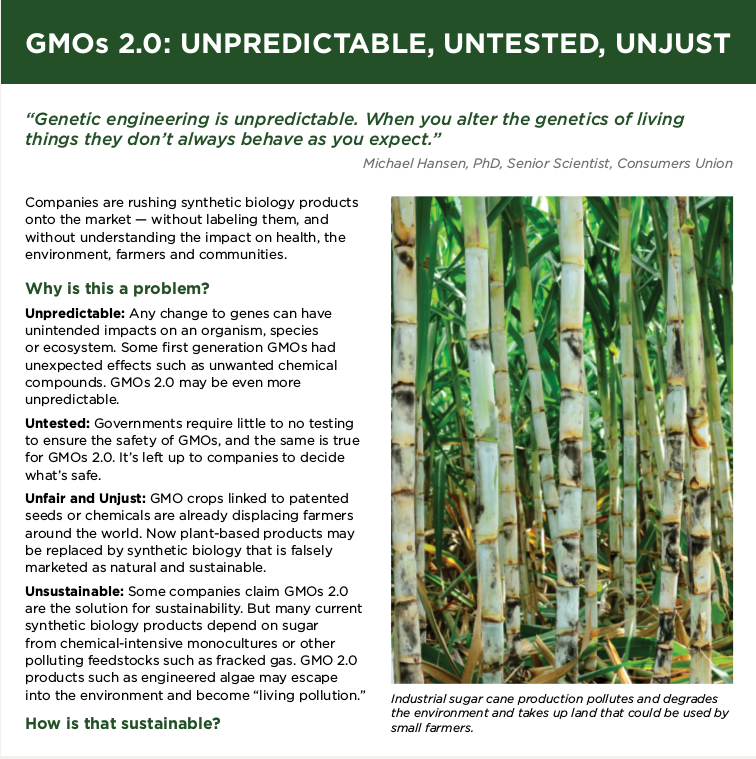 Concerns about GMOs 2.0, including lack of testing, lack of labeling and negative impact on small farmers. How to avoid GMOs 2.0: Buy organic as the best option, or choose products with the Non-GMO Verified or Made Safe certifications that do not allow synthetic biology ingredients. 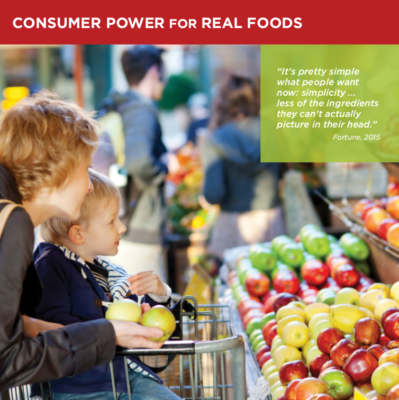 Take part in the Shopper’s Guide webinar – details to be announced soon! 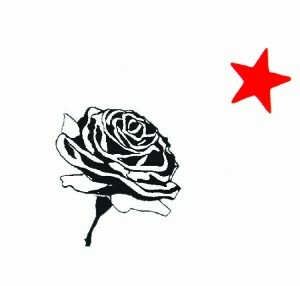 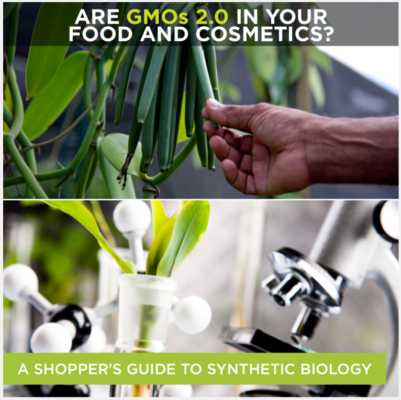 How can I get hold of the Shopper’s Guide? Consumers can [download id=”2781″].  You will soon also be able to order printed copies to distribute in your business, organization, or community for the cost of shipping. 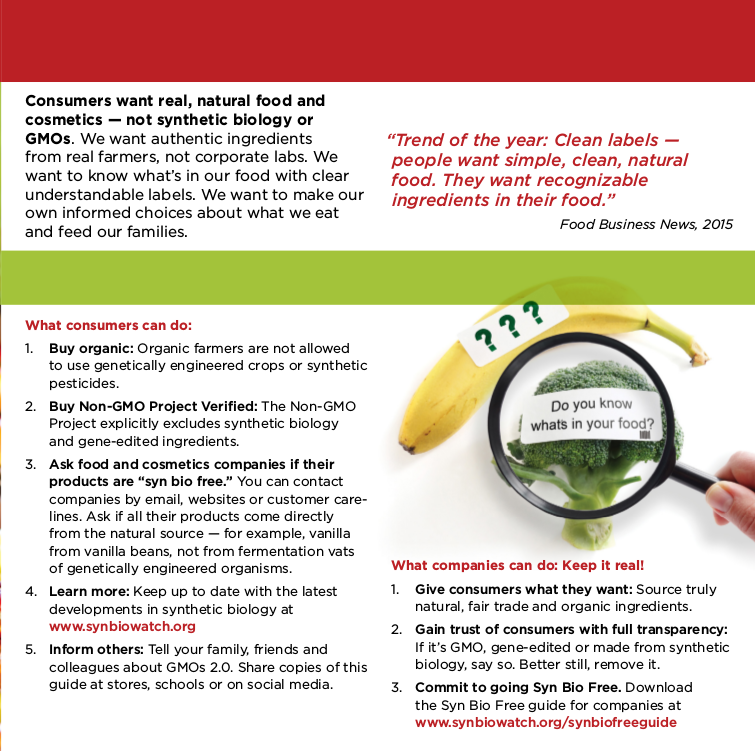 And you can [download id=”2773″] to get the conversation started in your community. 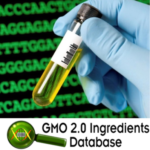 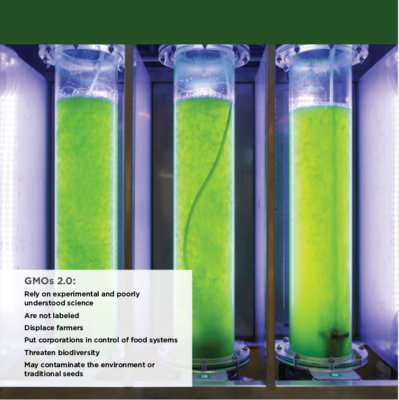 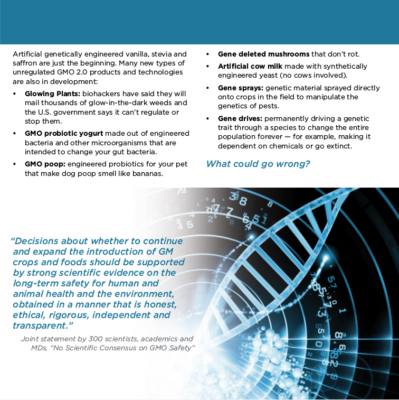 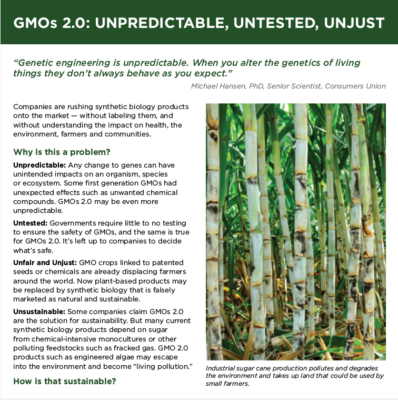 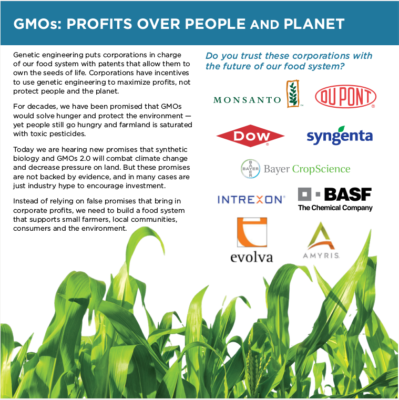 Download the Company Guide: “GMOs 2.0: Synthetic Biology. 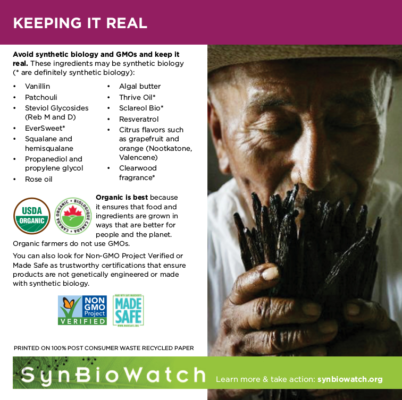 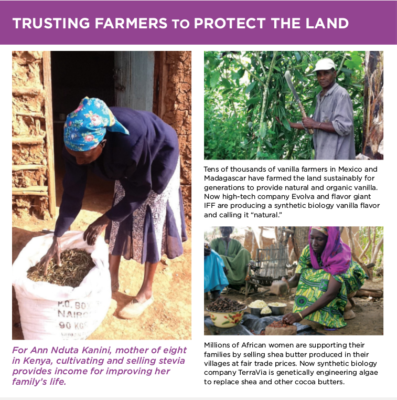 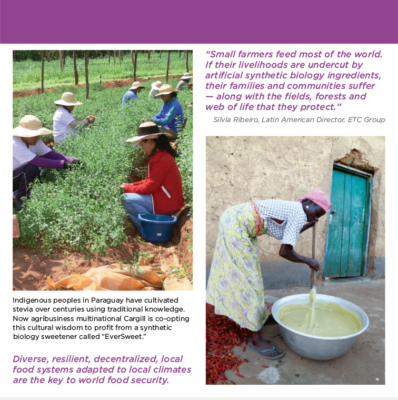 A guide to protecting natural products.” Available here.